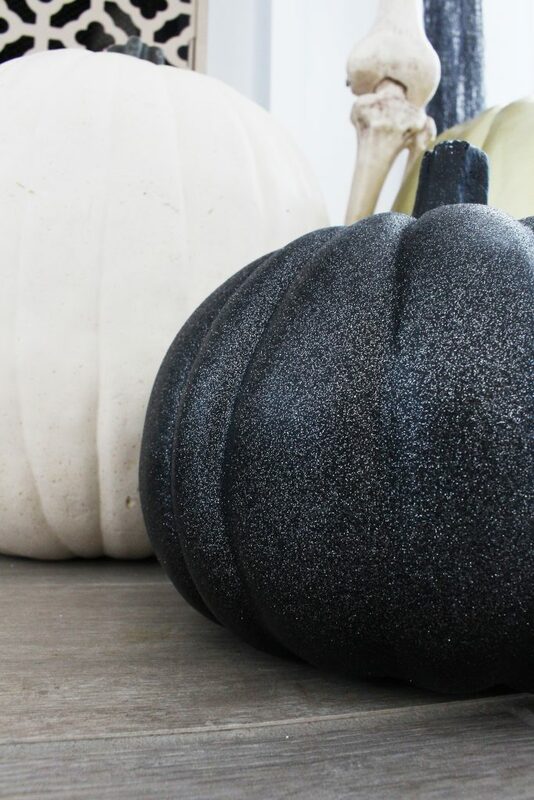 Halloween is just around the corner and I’m so excited for an evening full of spooks and sweets! 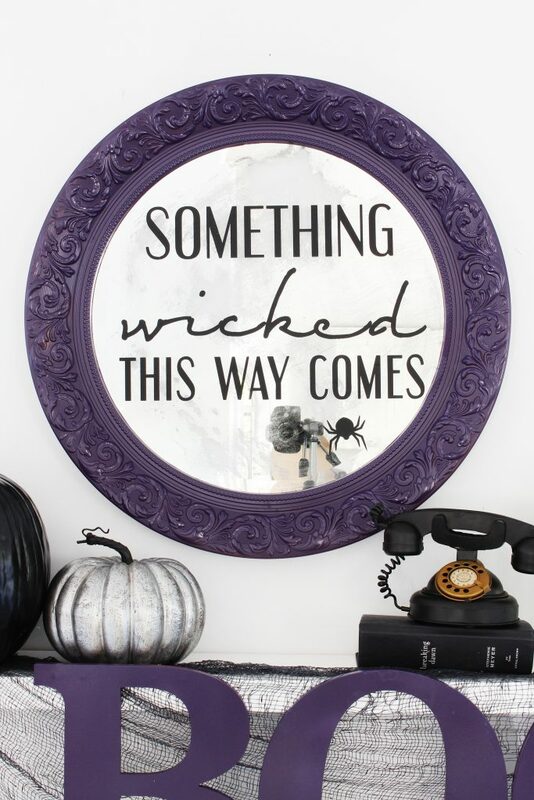 For this year’s Halloween decor, we are switching things up a bit and using purple as our feature color! 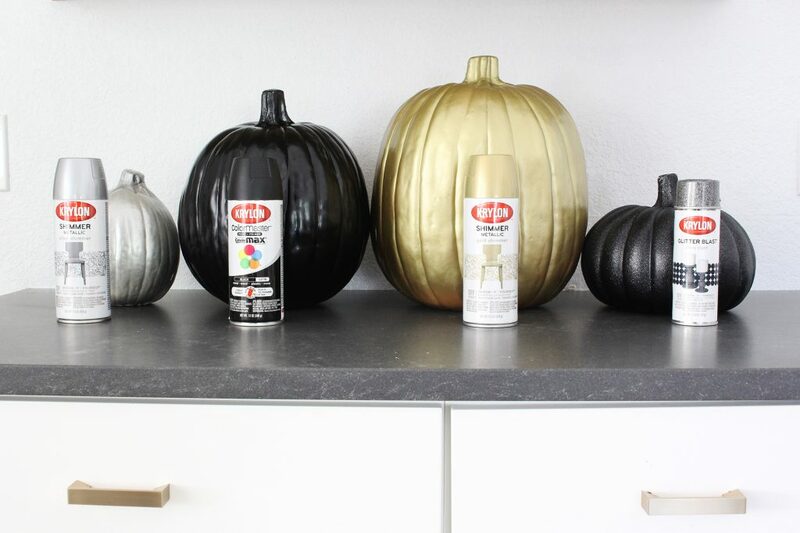 We mad a really fun DIY Antiqued Spooky Mirror and spray painted some pumpkins with some of our favorite Krylon products. 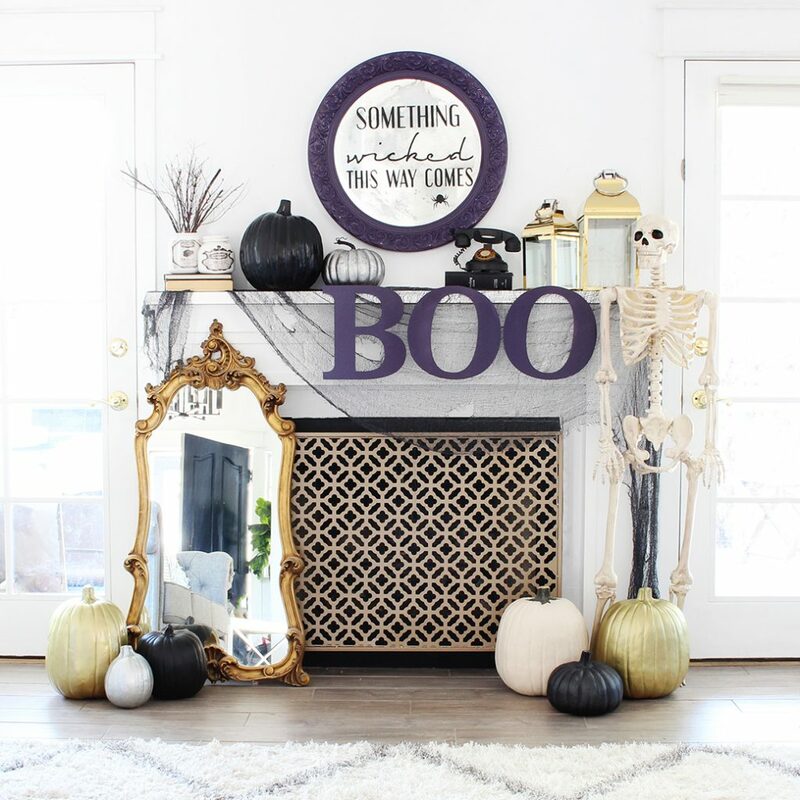 First, we made the DIY Antiqued Spooky Mirror by using a framed mirror and distressing the glass, painting the frame and adding a Halloween quote with vinyl lettering. First, we removed the cardboard backing to expose the back of the glass. 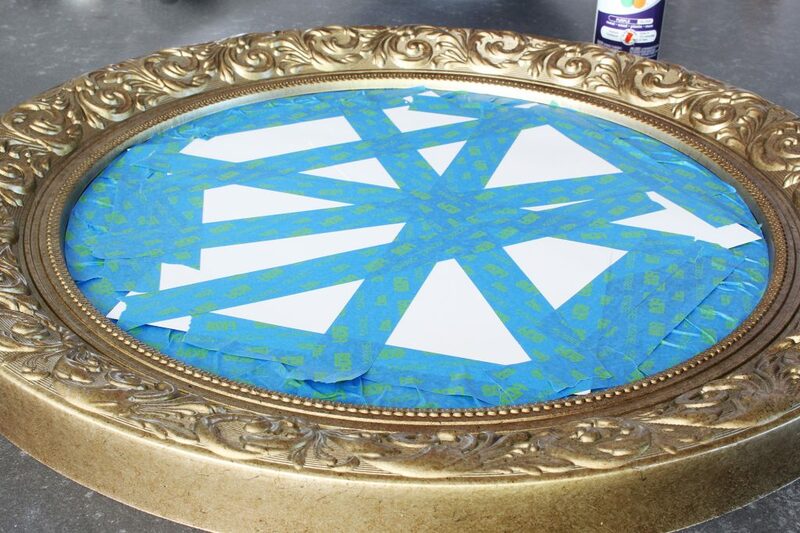 Next, we used paint thinner and a paint brush to cover the entire back of the glass with paint thinner. 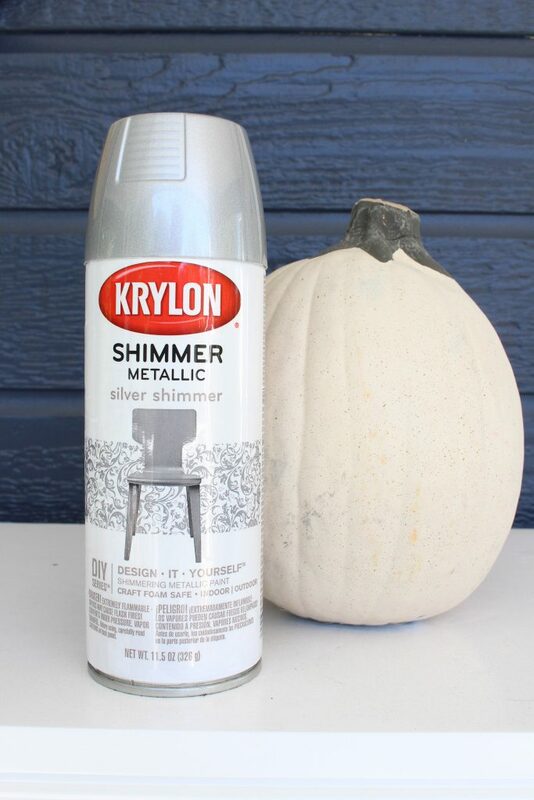 This removes the silver paint finish on the back of the glass. 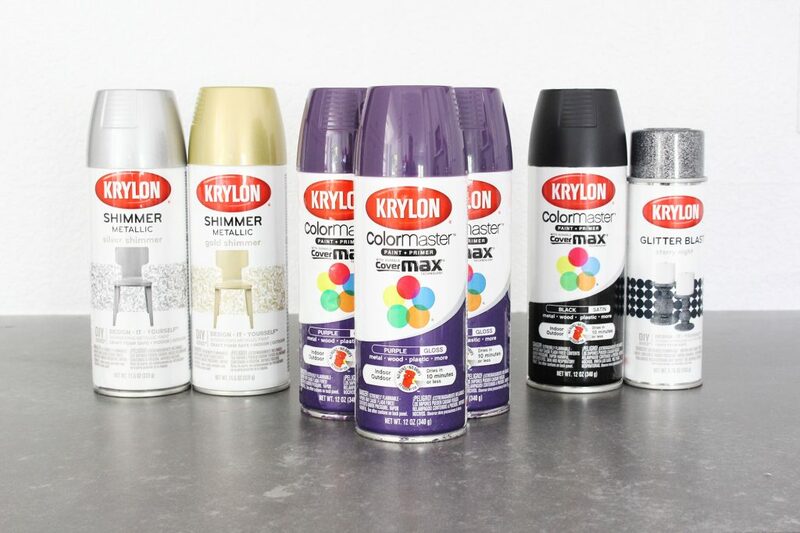 Make sure you wear gloves, a mask and protective eyewear and read the instructions on the paint thinner. This is a powerful chemical so make sure you take precautions to protect yourself. 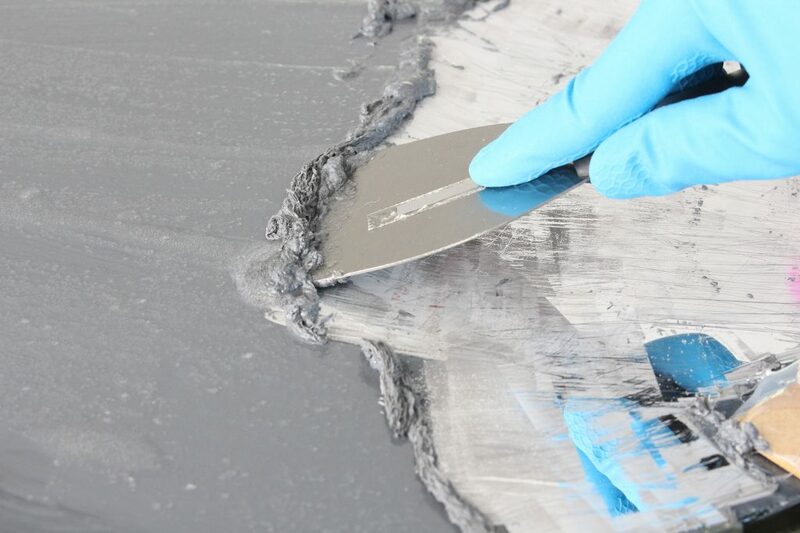 Once the paint thinner has been sitting for 15-20 minutes, we used a putty knife to scrape off the paint. 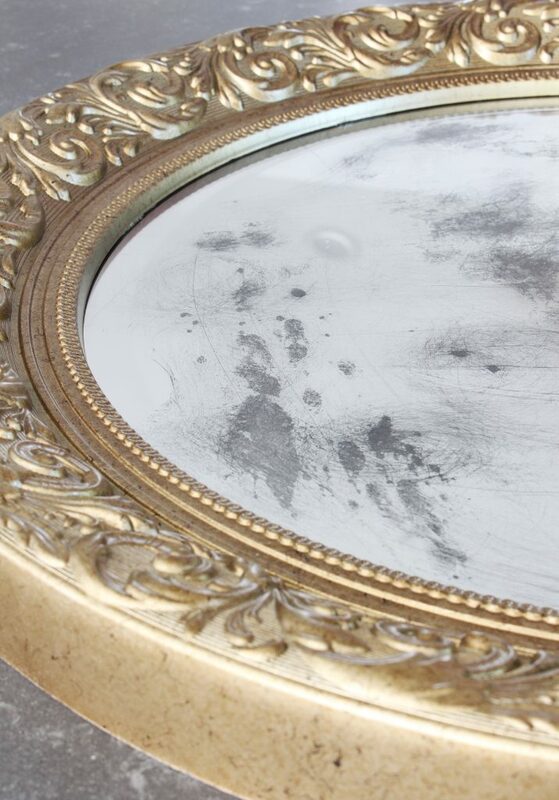 After it was all removed, we cleaned the surface thoroughly. 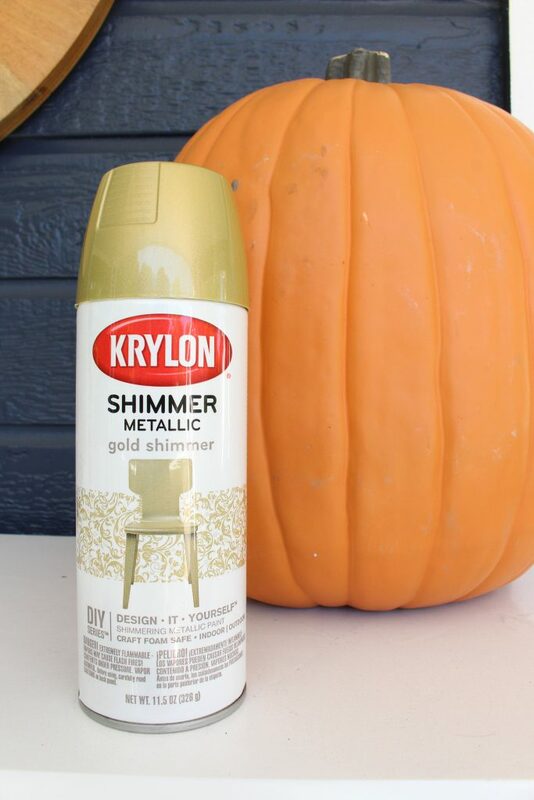 Be sure not to get any paint thinner on your skin. Once the surface was clean and dry, we applied the muriatic acid. 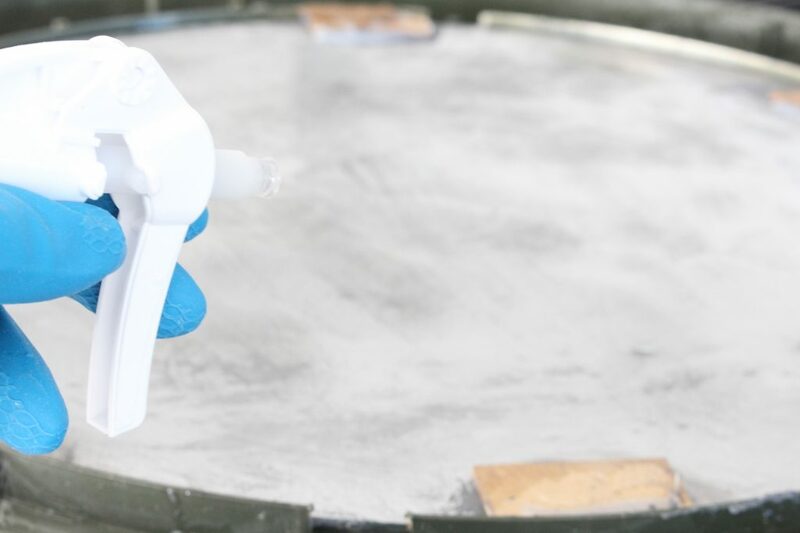 Use your plastic funnel to pour a very small amount of muriatic acid into your plastic spray bottle. 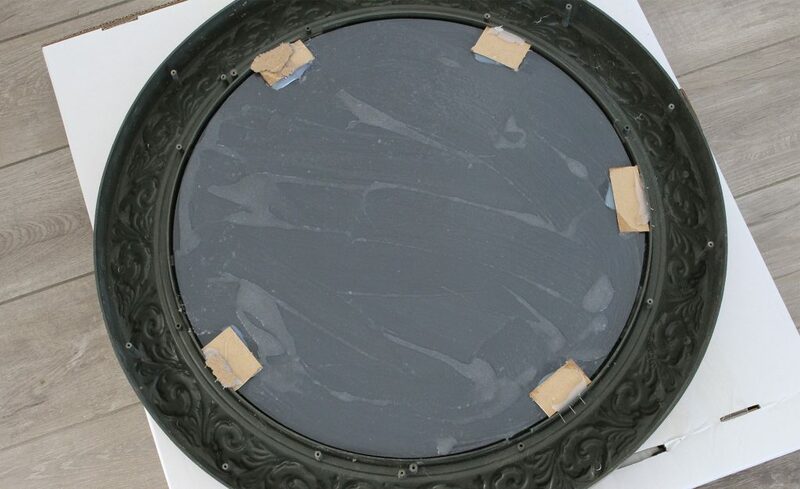 Next, you will spray a very small amount into random areas on the mirror. You will leave the drips to dry. 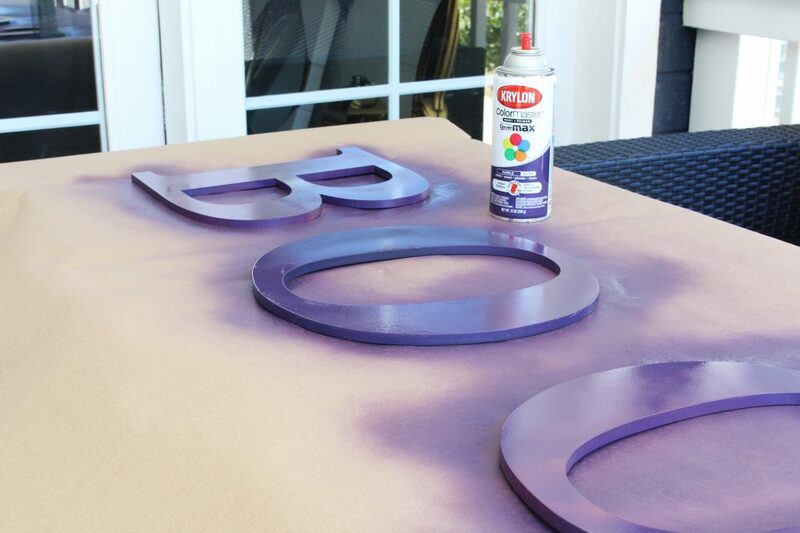 This will create that spotted distressed look once it dries. 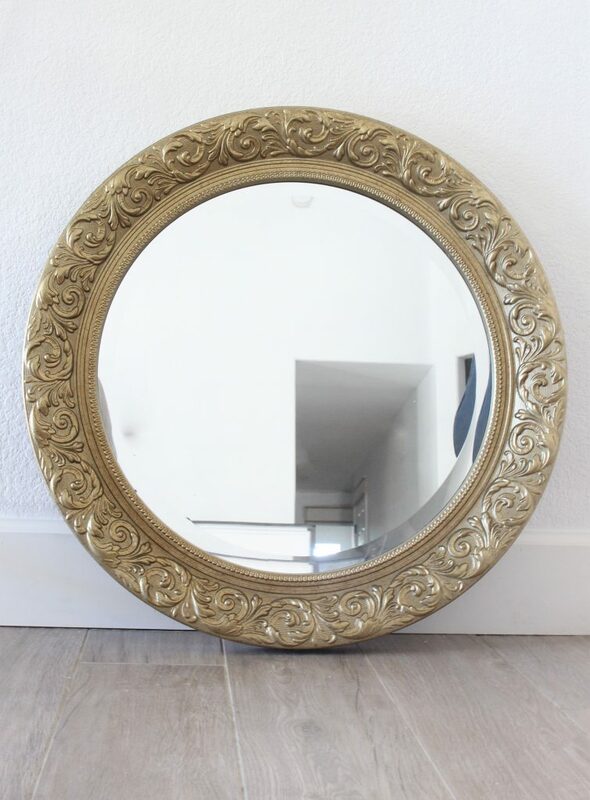 Finally, tape off the mirror so only the frame is exposed. 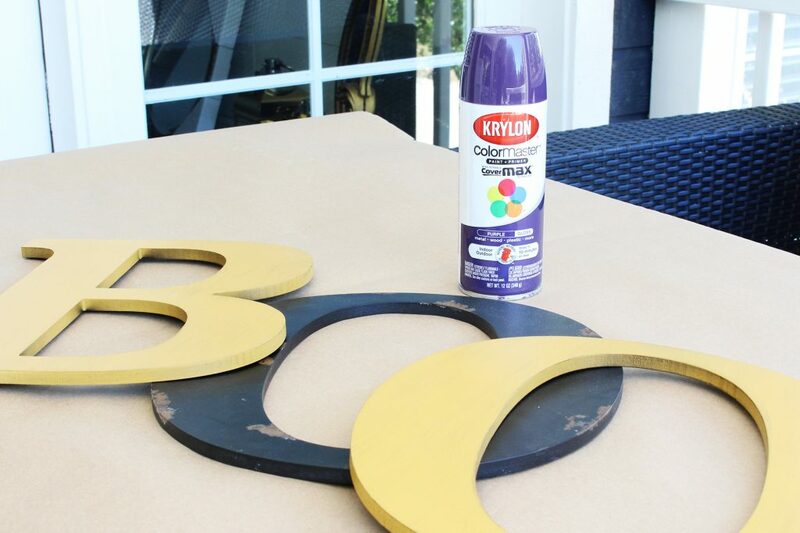 Apply 2-3 coats of Krylon ColorMaster Paint + Primer in Gloss Purple. 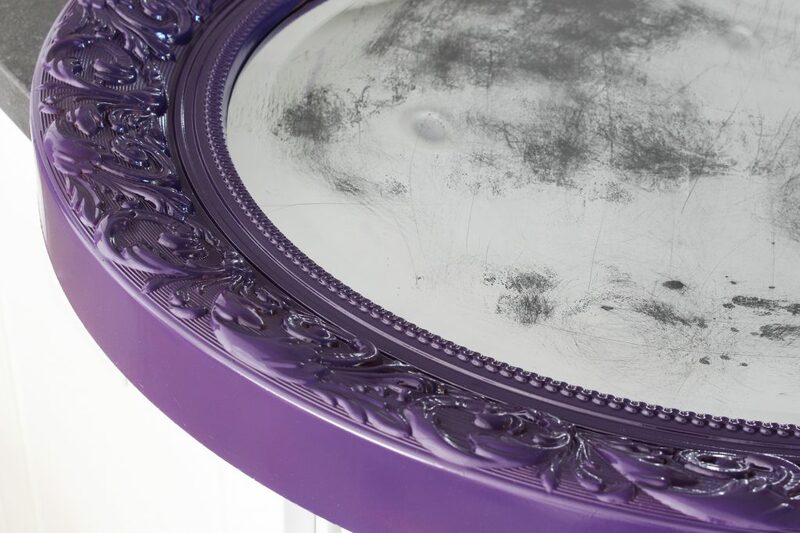 When using a gloss paint, do light coats and allow each coat to dry thoroughly before applying the next coat. 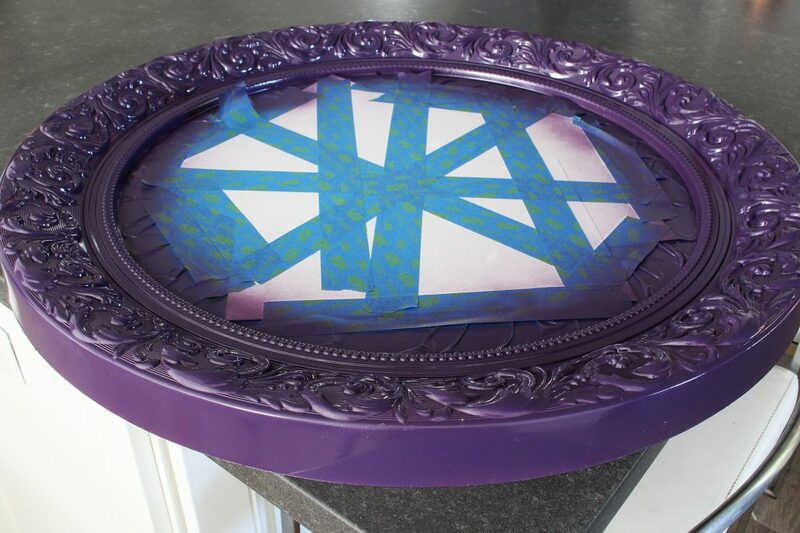 Remove tape and paper to reveal your completed distressed mirror. If desired, add a vinyl decal quote. 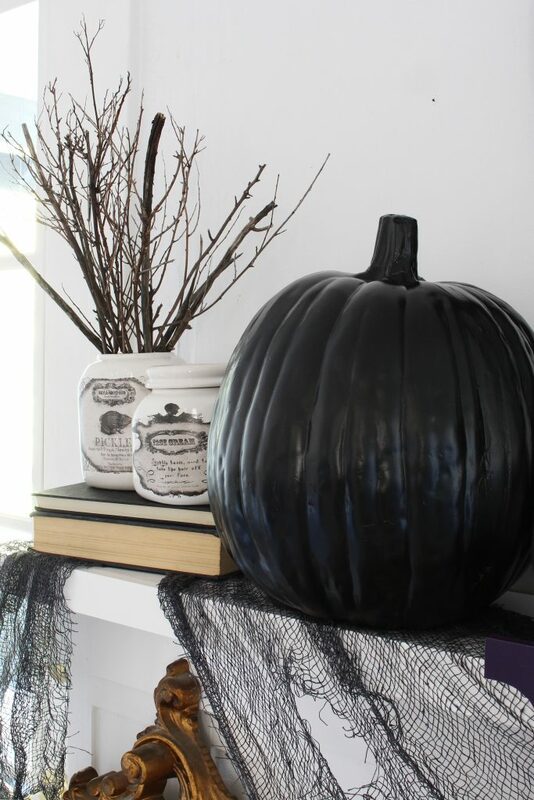 We made this one with our Silhouette CAMEO and black vinyl. 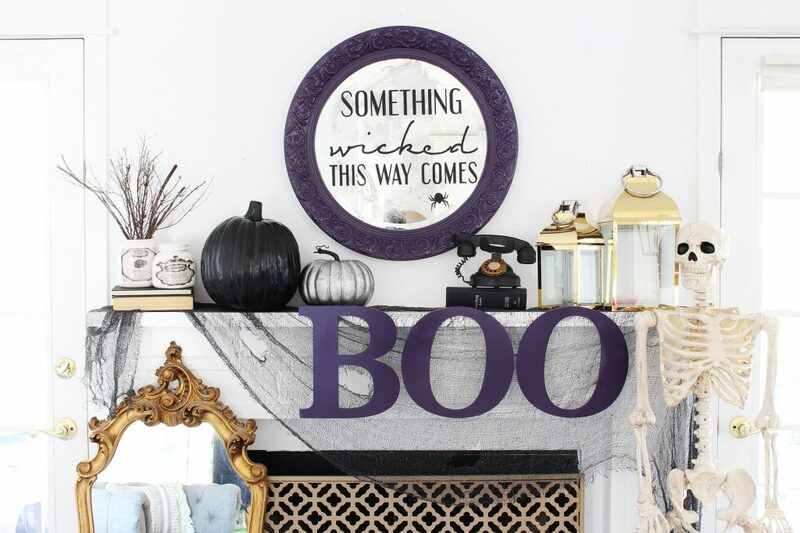 After the mirror was finished, we spray painted our other accessories for the Halloween mantel. 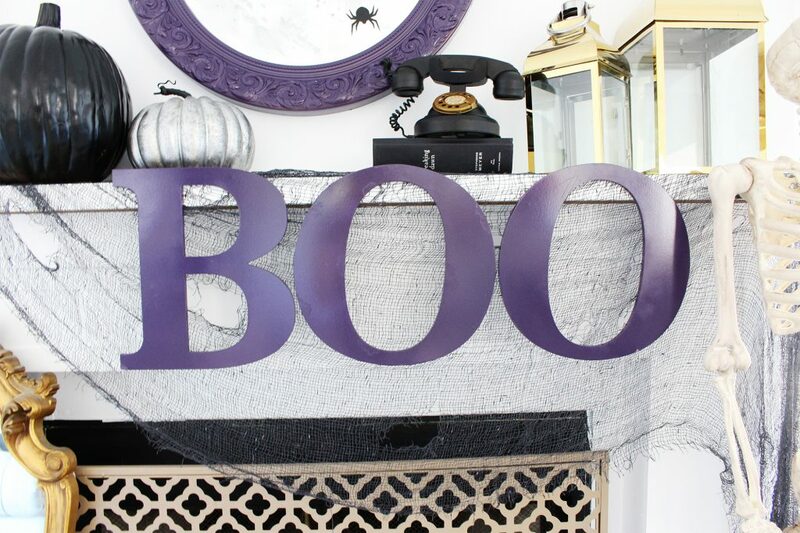 We used 2 coats of Krylon ColorMaster Paint + Primer in Gloss Purple for the “BOO” letters. 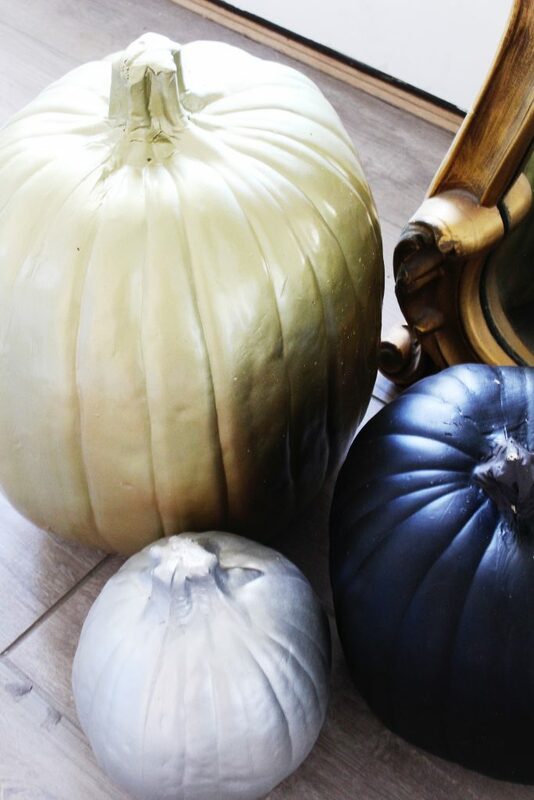 For the pumpkins, we used a variety of paints and finishes. 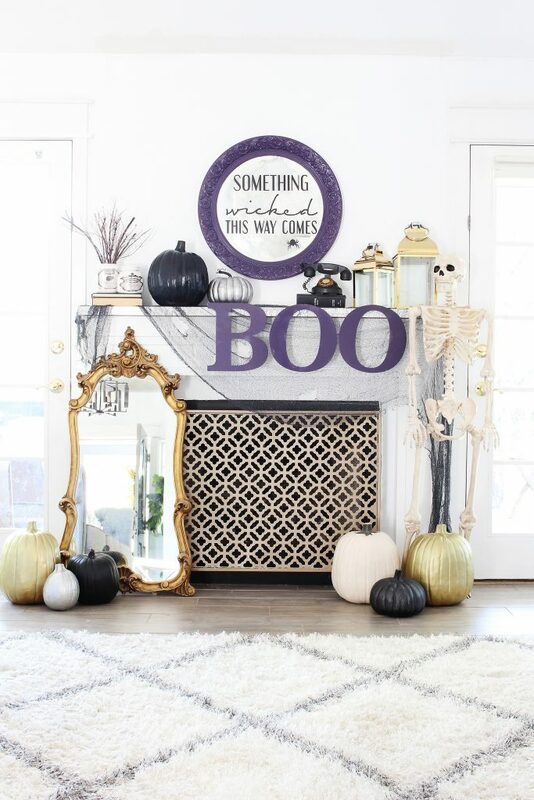 Finally, we pulled together some fun Halloween accessories to style the space! 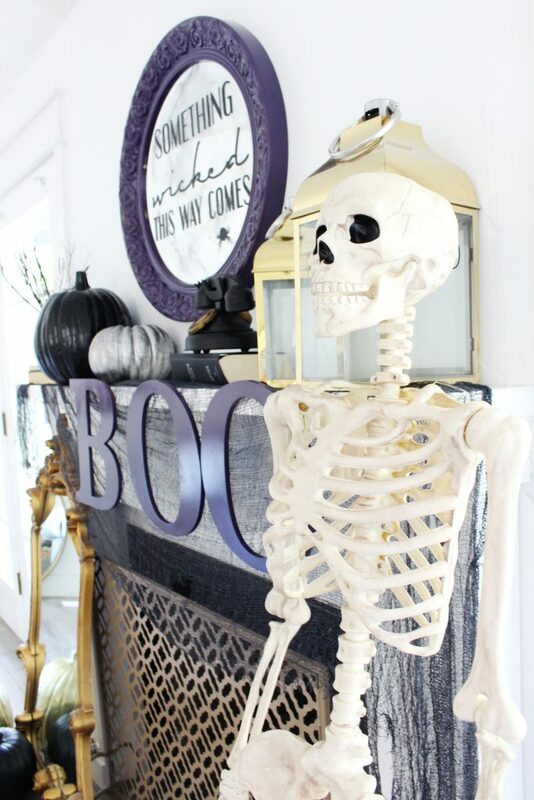 We love how the mantel came together and my kids are SO excited to have our Halloween decorations out! 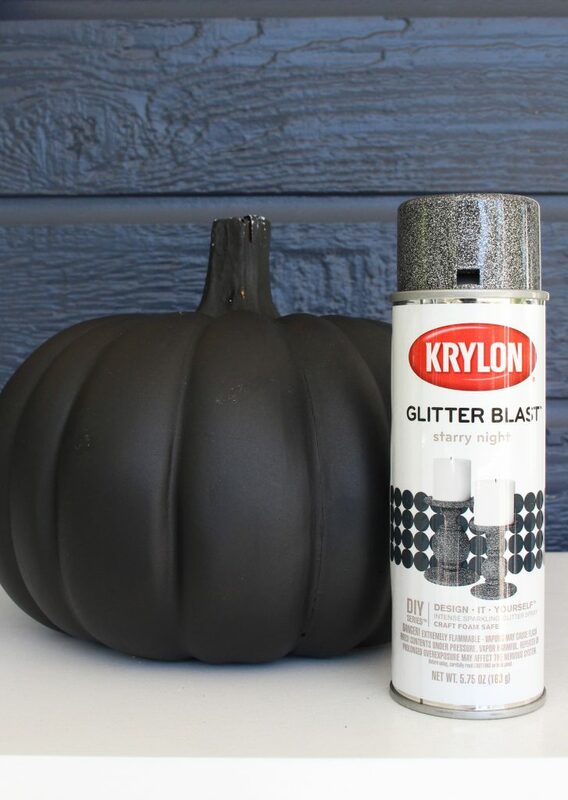 We love the twist on the typical orange and black Halloween decor. 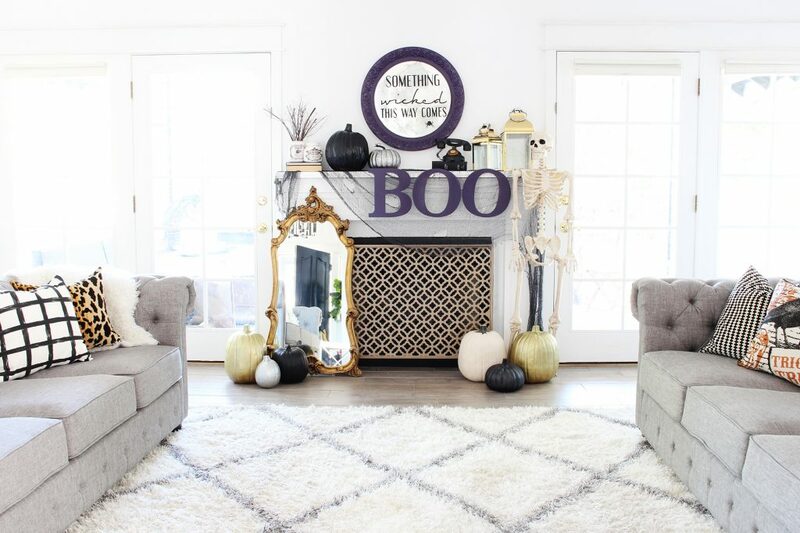 It’s truly amazing what paint can do to help transform a space!